The company specializes in producing and selling of various metal flux, additive of aluminum alloy elements, master alloy of aluminum base, forging aluminium alloy and fitting facility of aluminum melting. Flux: refining agent, slag remover, covering agent, degassing refining agent, modification agent, furnace cleaning agent, magnesium removing agent, etc. 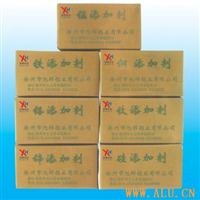 Additive: Fe agent, manganese agent, copper agent, chrome agent, tilanium agent, zirconium agent, etc. 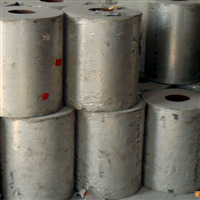 Alloy: aluminium-Fe, aluminum manganese, aluminium copper, aluminium strontium, aluminium chrome, aluminium titanium, aluminium magnesium, aluminium titanium boron wire (block), etc. Express-melting silicon can replace aluminium silicon alloy.